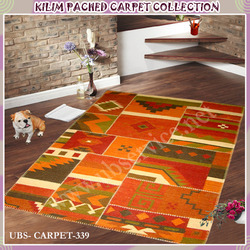 Leading Manufacturer of patched carpet, fabric carpet, kilim patched carpet and kilim pached carpet from Panipat. 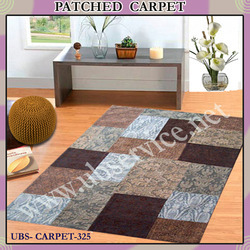 Our firm has gained vast industry experience in the field of manufacturing and exporting Patched Carpets. These are available in many of the sizes, designs, shapes and colors that meet each and every individual requirement of our esteemed clientele. In order to retain the reliability and quality of the products, we export them after stern checks and analysis. 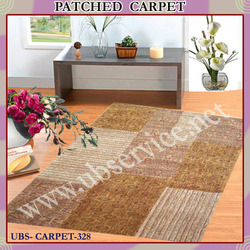 With state-of-the-art infrastructure facilities, our firm is involved in manufacturing and exporting Patched Carpets. We have utilized the premium class fabrics and sophisticate technologies in making these carpets, ensuring high strength and longevity. 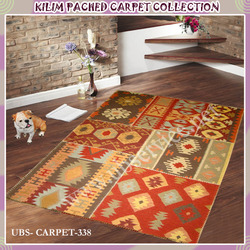 Entire range of our carpets is well tested on pre-defined quality parameters that are conducted by our skilled and dedicated professionals. 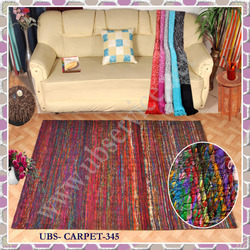 100% rayon chenille with cotton backing cloth & latex.